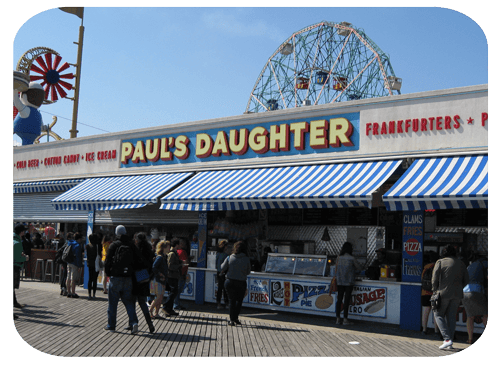 Paul's Daughter serves classic boardwalk food, everything from clams to sausages to hot dogs and pizza and cotton candy. It's a long-standing establishment at Coney Island that started in 1962 under two Greek entrepreneurs, Gregory and Paul. Originally called Gregory & Paul's, you might be able to guess who's been running the establishment since 2009.